The Dodge Challenger is likely to receive hybrid power and the supercharged V8 could leave the lineup in the future, but contrary to what many people think online, these changes aren’t happening right away and they don’t guarantee the end of the V8-powered muscle car era. This past weekend, The Detroit News published a discussion with Mike Manley which set the internet on fire, with the head of FCA stating that an electrified version of the Dodge Challenger could be on the way. More importantly, he stated that a supercharged V8 with 700 horsepower wasn’t the future of muscle cars. This report has led some outlets and many Facebook analysts to insist that the end of the Hellcat-powered Dodge Challenger and Charger is upon us. Some have gone so far as to insist that Manley’s comments forecast the end of the big-power V8 era, but we shouldn’t be writing off the modern horsepower war just yet. "I think that electrification will certainly be part of the formula that says what is American muscle in the future," Manley said. "What it isn’t going to be is a V-8, supercharged, 700-horsepower engine." Yes, that sounds bad, as he said that the future of the American muscle car is not a supercharged V8 with 700 horsepower, but realistically, we all knew that “the future of muscle cars” isn’t the Hellcat Hemi. The muscle car segment will have to evolve and over time, there is no telling what kind of technology we will see, but with the Hellcat being the least-efficient of the lineup, it makes sense that it will eventually be removed from the lineup. However, Manley was talking about the mid-2020s, so we are still 4-5 years out from the period of time being referenced as the future. By 2020, the Hellcat engine will have been on sale over the course of 7 calendar years. No other American performance car has been offered with monster power like the supercharged Hemi for this length of time, and any realistic gearhead knows that it is only a matter of time before the Hellcat leaves the lineup. When Ford or Chevrolet have offered big-power versions of their performance cars, like the Mustang GT500, the Camaro ZL1 or the Corvette ZR1 (or Z06), they have been offered for select model years within a given generation, but the Hellcat Challenger has been available during every year of this generation of the Mopar muscle car. In other words, the Hellcat cars have had a good run – longer than any similar car from the competition – but anyone who thought that the 700+ horsepower, supercharged Hemi would be around forever was only fooling themselves. When these cars were introduced, it was expected that they would be offered for a year or two, but we are already into our 6th calendar year of Hellcat sales (sales started in mid-2014) and the supercharged models are still selling well. While the Hellcat Hemi might not be offered 6 years into the future, there is no reason to believe that a hybrid Dodge Challenger means the end of the V8 engine. Introducing something like a hybrid V6 base engine would help improve the fleet’s fuel economy number, effectively making room for more V8 models. The way that CAFÉ laws work, higher-volume models have a bigger impact on the brand’s required fuel economy numbers, while low-volume models (like the Dodge Viper) have almost no impact. With this in mind, FCA could improve the fuel economy numbers of their stronger-selling models while offering big-power models in smaller numbers. That doesn’t mean that the Hellcat Hemi will be around forever, but the CAFÉ laws are structured to allow vehicles like the Hellcat cars to exist in lower numbers without leading to a fine for the company. More importantly, FCA is already using their eTorque hybrid system on the Hemi-powered Ram 1500, so the future electrification program for the Dodge Challenger could take a similar route – leading to a V8 hybrid muscle car. In the Ram, the eTorque system does a great job of offering initial torque when towing, so it seems likely that some variation of the system could be adjusted and applied to a muscle car. So we know now that the Hellcat Hemi will not be around forever, but again, Manley was talking about the mid-2020s. While that future might not have a supercharged Hemi in the lineup, there is no reason to believe that the nearer-future won’t have more of the same, monster-power Dodge Challengers and Chargers that are on sale today. 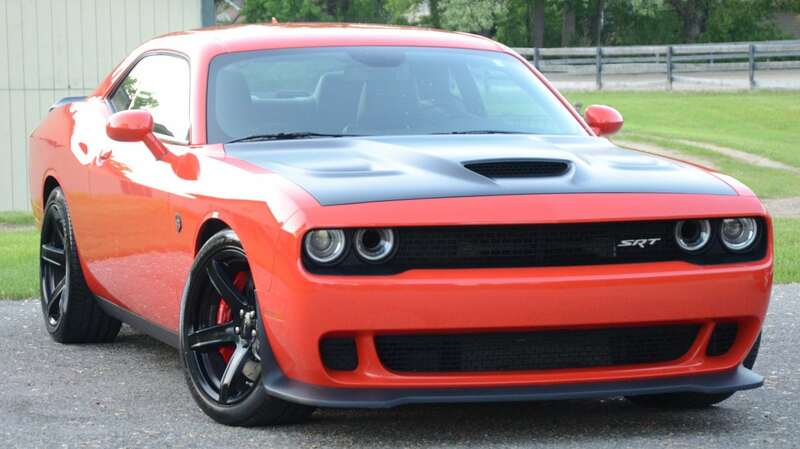 It is expected that these cars will enter into the next generation in the next few years and at that point, there is a very real chance that the supercharged Hemi will not be on the option list, but if you are saving up for a Hellcat Challenger or Charger, you should have at least through 2020 to buy one from your local dealership – if not longer. So, if you didn’t know before this weekend, no, the Hellcat Hemi will not be around forever and at some point in the next decade, we will likely see a hybrid Dodge Challenger, but through at least the 2019 model year and possibly 2020, the big-power Mopar muscle cars will still be sold.